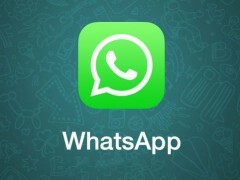 Digital money transfer WorldRemit has added WhatsApp notifications to its service. The firm has integrated WhatsApp Business Solution to allow its customers to receive notifications about their transactions through the messaging app, “given the challenges of SMS delivery in many markets”. WorldRemit claims to be the first fintech company in the UK to integrate with the WhatsApp Business solution. The firm aims to serve ten million remittance customers connected to emerging markets by 2020, expanding into what currently is a $600 billion a year industry. At the moment, WorldRemit covers 145 markets, with 1.2 million transactions monthly. In a similar fashion, we recently reported that Absa Bank, previously Barclays Africa, introduced banking via WhatsApp in South Africa.